There’s been some exciting developments in Forest Hill over the last few years, and as traders we’re thrilled to witness the continued regeneration of our town centre and the increased visibility of our creative community. 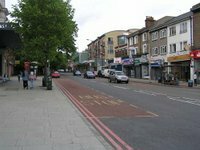 Local regeneration was given a boost a couple of years ago when a group of residents and traders (including members of the Forest Hill Society) pitched for and won a Portas Pilot grant for high street regeneration in Forest Hill, Sydenham and Kirkdale. 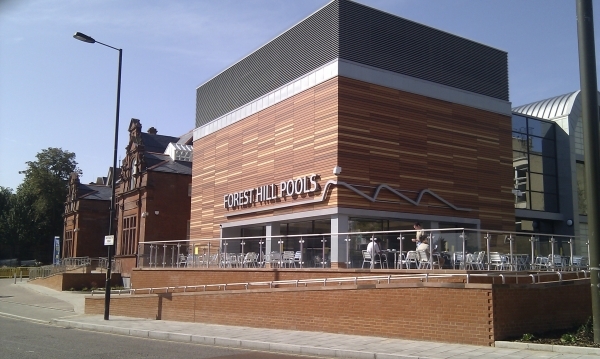 One of the scheme’s conditions was that each of the areas involved should have an active traders’ association, so we duly resurrected the then-dormant Forest Hill Traders’ Association in support of the new SEE3 initiative that was born as a result of securing the Portas funding. We’ve been proudly involved in the many SEE3 initiatives that have taken place since, from exciting pop-ups and new markets through to community events and the Forest Hill Fashion Week (visit http://www.see3.co.uk/ for more details). We believe the scheme’s benefits have been both tangible and highly visible, making our neighbourhood a more varied and interesting place to live. One of our local traders (Serge Sumerling of B Cards on Darmouth Road) had the idea to establish a Totally Locally hub for Forest Hill (http://totally-locally.co.uk/foresthill/), and this has now become the online “home” for the Forest Hill Trader’s Association and its members: a place where people can learn about what Forest Hill businesses have to offer, and where they can keep abreast of forthcoming initiatives, special offers and events. We’re excited about the forthcoming Forest Hill Film Festival, with some of our members hosting screenings and events, and we’re due to install a map outside the station that will encourage people to explore Forest Hill’s hidden retail and other gems - so keep an eye out! We’re especially keen for new members to join us. Established businesses, newcomers, market traders and home businesses are all welcome. This is a relatively young organisation and you’ll get a chance to help shape the future of independent business in Forest Hill. Please contact Julia Channon (allinnone@btconnect.com) if you’re interested in joining, or even if you’d just like to attend our next meeting.